You′ve probably had many conversations (or battles) with your parents about your choice of hairstyle and color, earrings, and style of dress. When it comes to body tattoos, piercing, and branding, your parents may have laid down the law and said no way. In Arkansas, Pennsylvania, and Tennessee, you must be 18 to get a tattoo. 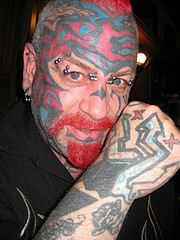 In Rhode Island, the tattooing age is also 18, but there is no age limit for the removal of tattoos. In Arizona, a 1996 law makes tattooing a minor without a parent or guardian present a felony, subject to a year in jail or up to a $150,000 penalty. Legally, you must be eighteen before getting a tattoo in most states. Adults who violate existing laws by tattooing a minor, or consenting to a tattoo in violation of the law, are subject to penalties. 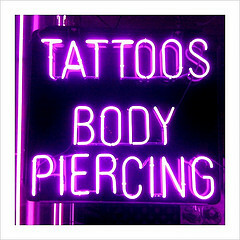 Branding and piercing body parts may also be covered under specific laws in your state. If you’re considering the military as a career, check into their tattoo policies. In April, 2014, the U.S. Army issued a manual outlining what tats are acceptable and which ones will keep you from enlisting. The Army forbids tattoos on a soldier’s head, neck, face, wrists, hands and fingers. The Marines have a strict policy on tattoos, especially visible ones. Recruits can have no more than four tattoos and none can be vulgar, sexist, racist, anti-American or refer to drugs. Other branches of the military have restrictions that you should know about before going to the tattoo parlor. Law enforcement is also regulating tattoos on police officers while on duty. For example, the city of Chandler, Arizona put new rules into effect in 2014 prohibiting any visible tattoo from showing. Long sleeves or band-aids must be worn to cover visible tats. Once you become an adult, you can decide how to express and present yourself to others. Think it through before you act. Although laser treatment is available to remove the ink from a tattoo, the skin area is never 100 percent restored to its original state. Branding is even more difficult, if not impossible, to erase. Keep in mind that many employers, including national franchises, won′t hire people who have visible markings. So before you tattoo or brand your fingers, hands, arms, or face, talk with some friends or adults who have had the experience. Contact the local job bank or a work placement counselor at school to find outwhat personal adornments are acceptable in your area. Mary Wohlford is a retired nurse with an unusual tattoo. She doesn’t believe in lawyers so she had “Do Not Resuscitate” written across her chest instead of completing a legal form to accomplish the same thing. Mary lives in Iowa and was 80-years-old when this was done in 2006. The Melt Bar & Grilled in Lakewood, Ohio, offers a 25% lifetime discount to anyone with a tattoo of a grilled sandwich. If that isn’t reason enough to get tatted, nothing is! That may be so in the U.S., but not in every country. In October, 2011, a 24 year old soccer player in Saudi Arabia was detained by the moral police. Juan Pablo Pino, from Colombia, was seen walking in a mall with his wife in Riyadh. Other shoppers complained about his sleeveless shirt and display of religious tattoos including one of Jesus. Saudi Arabia is a conservative Muslim country that respects Shariah law. Tattoos must be covered at all times. Pino apologized for his actions and was released. Am I allowed to tattoo my 12 year old son. I do all my own tattoos only on myself . My son wants a dirt bike insignia like a few of his other friends. I won’t let anyone tattoo on my son because I need to make sure everything is sterile and done correctly. We live in Arizona and I only see laws stating I have to be there. Dear Brenda: AsktheJudge.info is an education site for teens and, as such, we don’t provide legal advice to our readers – teen or adult. We can refer you to Arizona’s law regarding tattoos and the required consents and ages. If you google “Arizona 13-3721” you will see the current statute. Good luck.